Savannah Collection. Features: All Wood Construction Using Poplar Hardwoods and Birch. 1 Glass Panel Door, 2 Raised Panel Doors, 2 Fixed Wood Shelves, Molding, Metal Knobs. 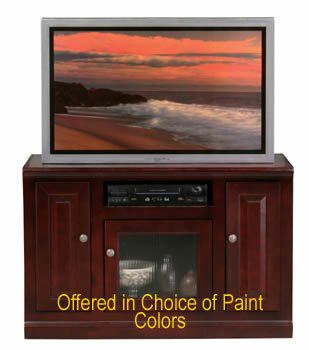 Available in Choice of Stain or Paint Colors.